The Academy is tucked away on a handsome tree-lined Belgravia street, an area of London that makes you long to be a lady-who-lunches with an oversized designer handbag and miniature pooch. 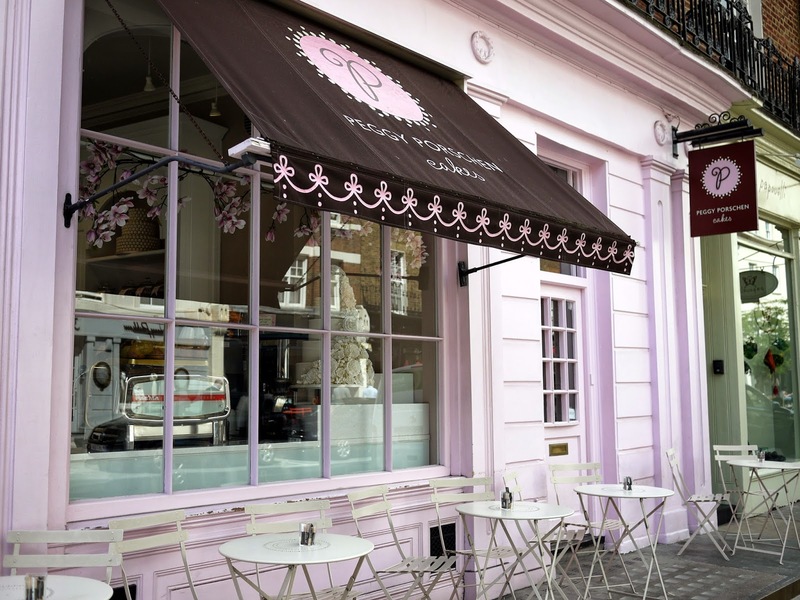 I clearly spent too much time watching the world go by as I enjoyed a welcome coffee at the Peggy Porschen Parlour*, just opposite the Academy. 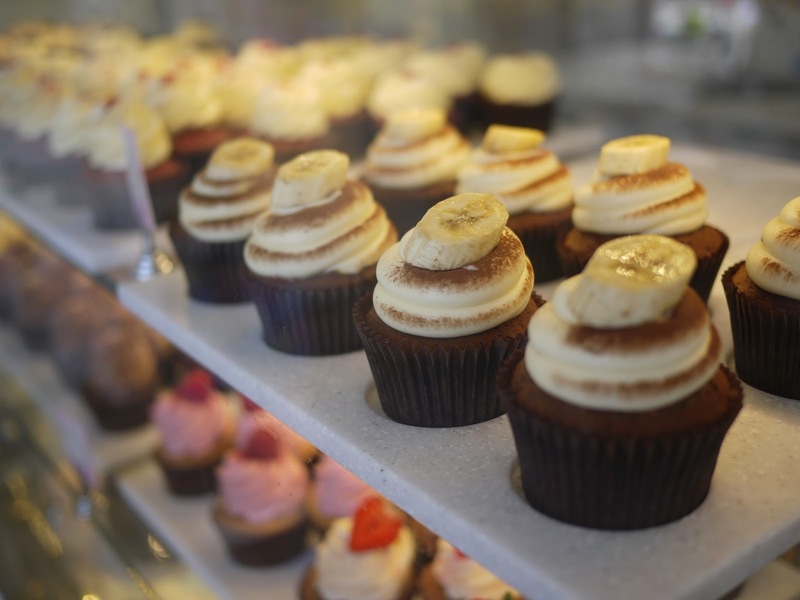 When I wasn't imagining my new parallel universe life, I was unashamedly admiring (greedy eyes wide, tastebuds tingling, mouth watering; the full works) glass cabinets full of delectable cupcakes and shelves stacked high with sweet treats and delightful biscuits. Once I was surgically removed from the Parlour's display unit, I joined my two lovely fellow classmates as Penelope, ably assisted by Nicola, introduced the day. Firstly, we made the cake. Penelope promised us this would be the softest, fluffiest chocolate cake we'd ever bake. And boy, was she right; if this cake were a pillow, it would be premium, luxury Canadian Goose feather you only see in high end hotels. Penelope revealed the secrets of the cake: soft, brown sugar to add a deep caramelised flavour and ever so slowly, over several minutes, adding the eggs to the creamed butter and sugar. 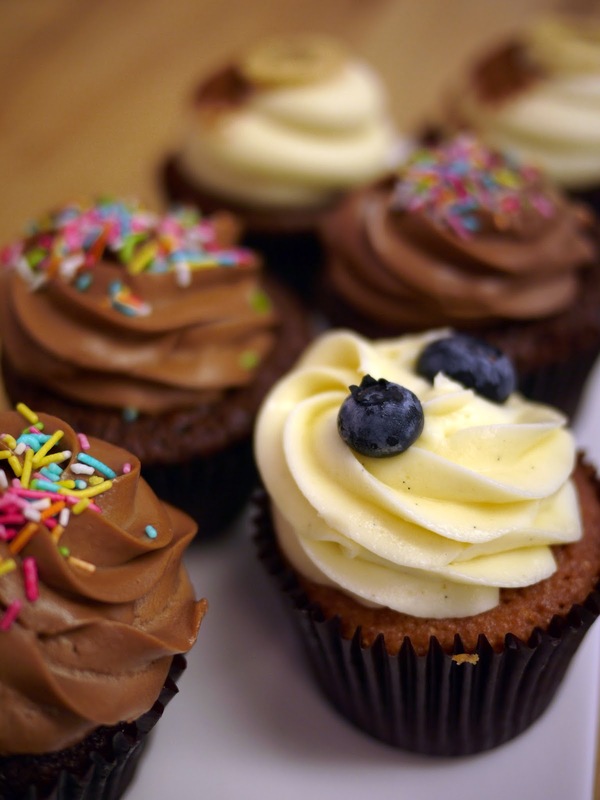 A short break to sample a few of the Parlour's cupcakes (yippee!) followed and, after considerable consideration sampling, I decided Banoffee Pie was my favourite. 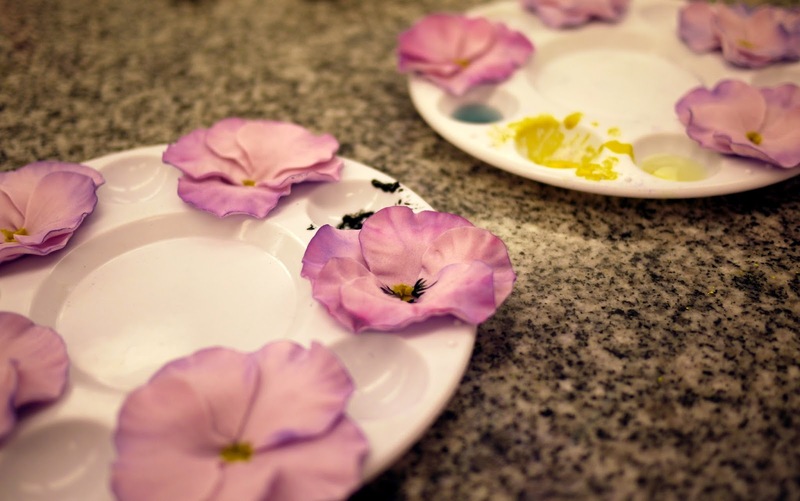 Then it was time to make the pansies. I was a little apprehensive about this. 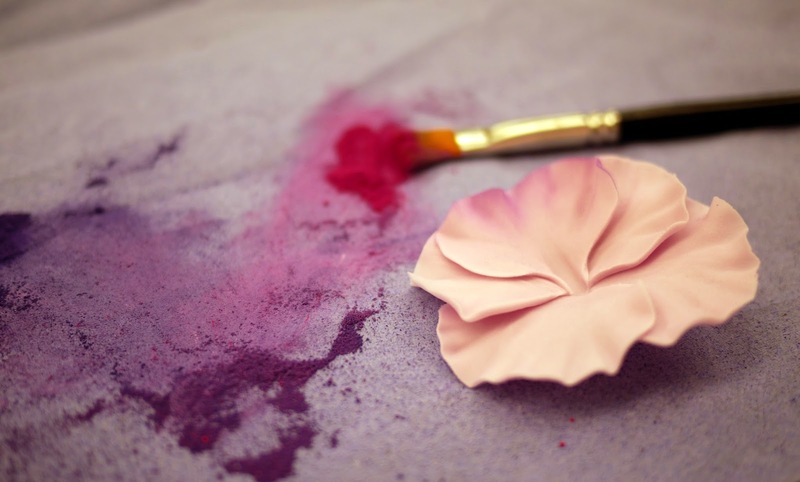 My experience of sugarcraft is almost zero and I was nervous I'd let Peggy and Penelope down by producing genetically modified pansies that looked more like undesirable weeds than beautiful blooms. I needn't have worried; Penelope's guidance and instructions were perfectly understandable and achievable; her patience and encouragement infinite as I kept interrupting with 'but, is this the right way to do it Penelope?'. 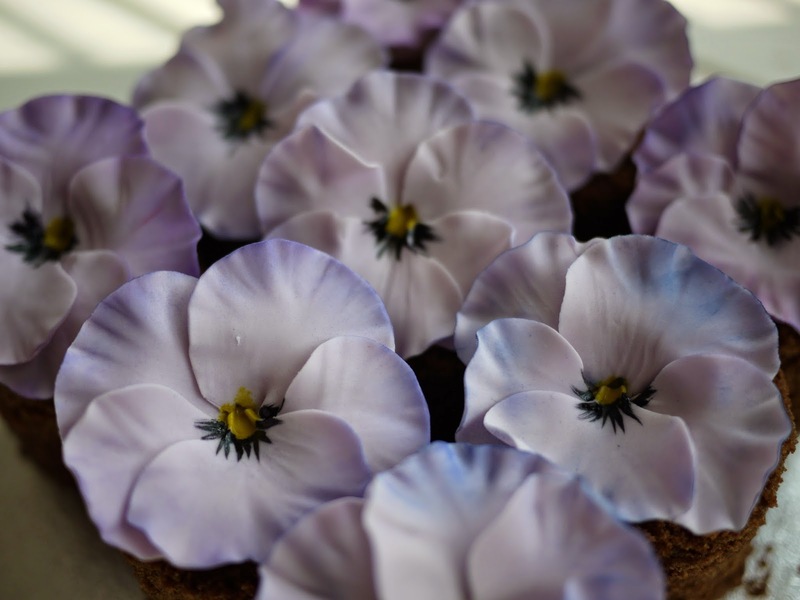 The process of making the pansies was wonderfully relaxing and enjoyable, if very delicate; from carefully rolling the veins into the petals, to thinning out the edges providing a ruffled, scalloped look to gently adding the iridescent edible dust. 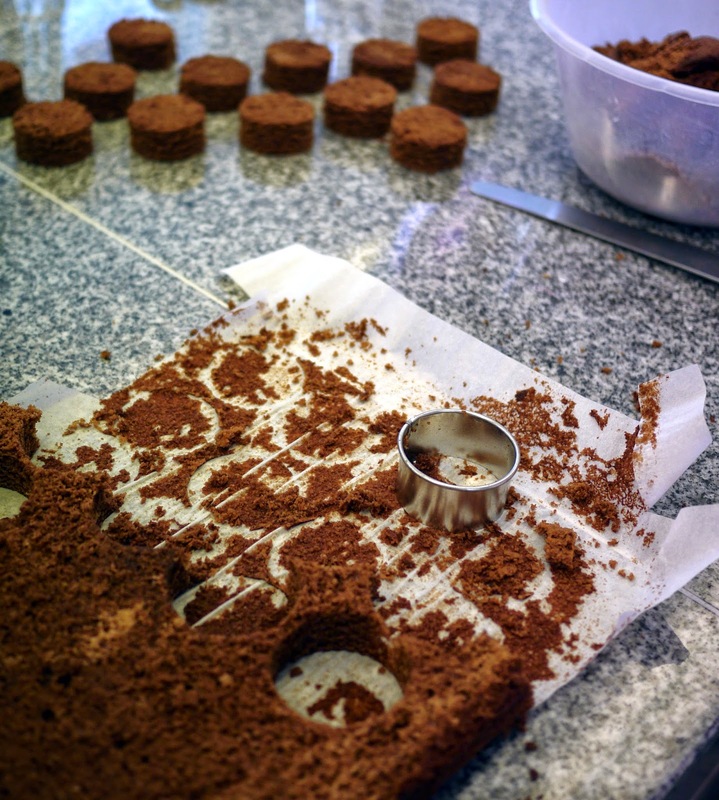 After lunch at a great little neighbourhood cafe recommended by Penelope, we began assembling the mini cakes. 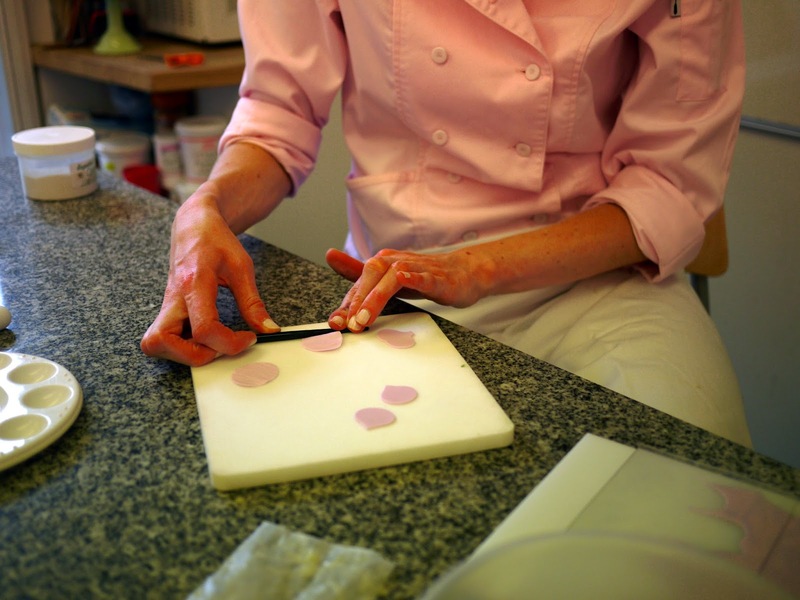 Mixing the sweet violet buttercream resulted in the entire Academy smelling not unlike a Parma Violet factory. And the best bit about cutting out the mini chocolate cake was the excess sponge that, of course, for quality assurance we were obliged to tuck into. Our Perfectly Purple Violet Pansies. 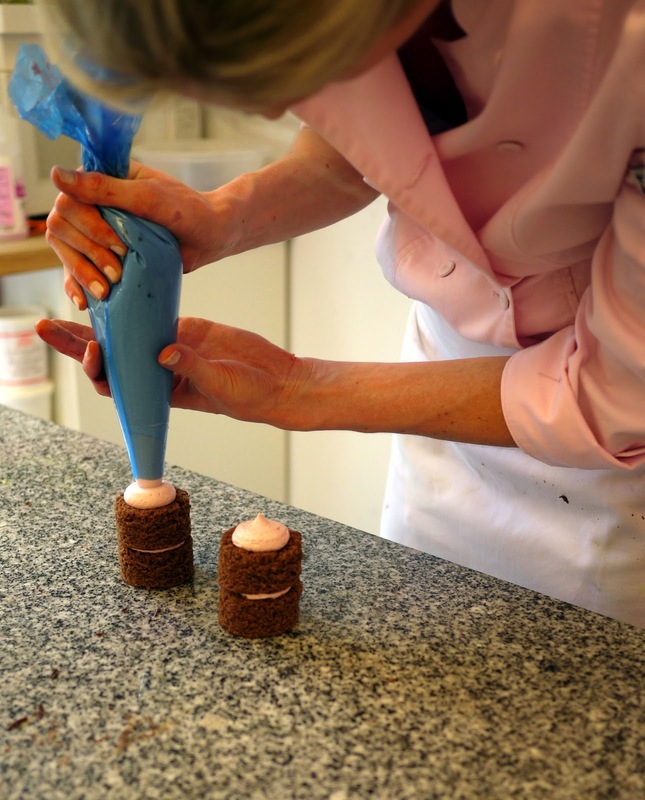 This was a very relaxed, informative and brilliantly taught class resulting in delicious and beautifully decorated, charming miniature cakes. And my pansies didn't look any thing like bedraggled, genetically modified weeds! * See, in this part of the world, cafés aren't cafés. They are parlours. The flowers are amazing - well done! The batch of cakes looks really pretty. Ooh what fun. 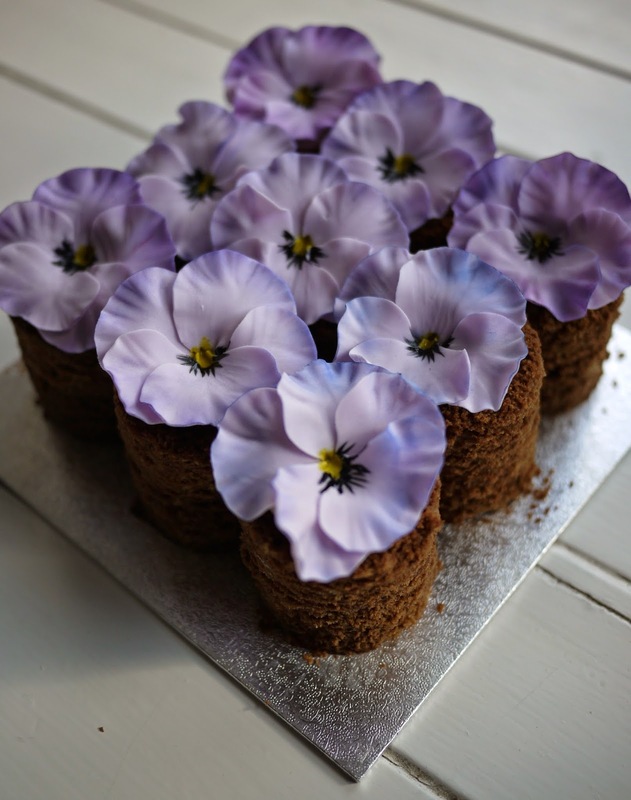 I'm not really into sugar craft, but I'd love to be able to make beautiful pansies like yours. I was initially fooled when I saw the first photo and thought they were real ones. Well done. 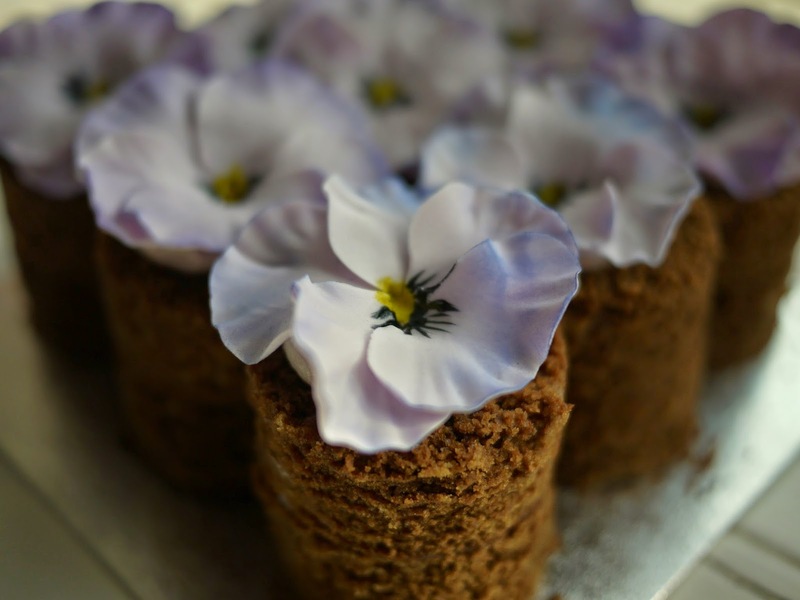 I'm now dreamily imagining what violet chocolate cakes would taste like - mmmmmm! That is the highest compliment to receivie that you thought they were real!! Wow- thank you Choclette! Stunning. I wish I lived in London! I have really enjoyed reading this and looking at your fabulous photography! It was lovely to meet you last Saturday, it was a really great day! how utterly gorgeous! clever you.. well done.